When designing the series 3107, the designer Arne Jacobsen created one of the most popular chairs in history. With several million copies sold and a place in the most prestigious museums and design collections of the world, the Series 7 is real classic among chairs. As a padded version, the chair offers additional seating comfort and can be personalized thanks to the various colors and fabrics available. The result of the collaboration between Fritz Hansen and the Berlin fashion label lala Berlin demonstrates once more the versatility of the Series 7 chairs. Inspired by the trends of the fashion world, the Series 7 chair is upholstered in elegant blue or red Dedar velvet. Both variants have a matching varnished frame and a glossy seat, that stylishly complement the front upholstery. The velvet chair is a special collector's item for design lovers and fashion connoisseurs and is only available for a limited time. All chairs feature a special label and fabric tag. 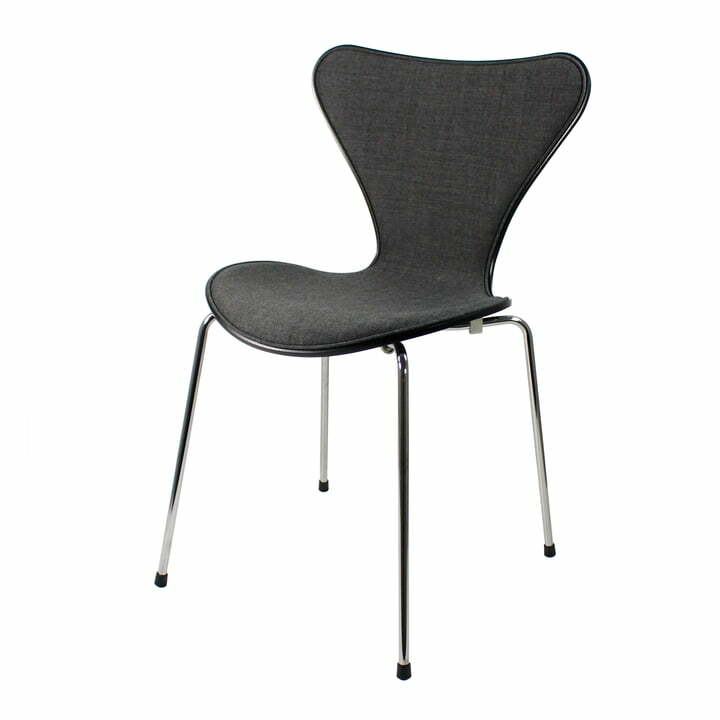 Offer for a limited time: the classic series 7 chair by Fritz Hansen with black coloured seat shell at no extra charge with front padding in the remix 163 fabric.